A palette of moody blues juxtaposed with richly saturated brights. Fresh fruit was painted with impressionistic brushstrokes. Exotic wood monogram. A marzipan station with a touch of Wedgwood! You may recognize this painted pattern from the menus? A peek inside the magazine! The Knot has solidified it’s place as an icon. If you’re buying you’re first wedding magazine, there is a good chance it will be The Knot. For years we’ve been blessed to have our stationery suites grace the pages from issue to issue. In celebration of my latest book release, The Painter’s Wedding, The Knot editors and I collaborated on a multi page editorial for this Fall’s national print issue. 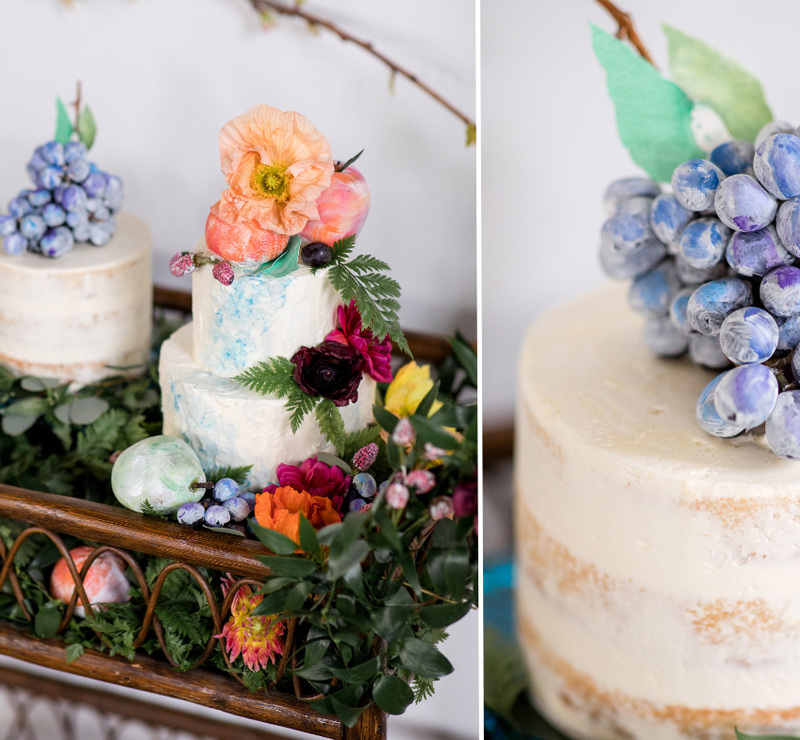 Just as in each chapter of The Painter’s Wedding, a fine artist was chosen to inspire a celebration table, cake, invitation suite and various wedding finery moments. We decided on three art movements; Impressionism, Baroque and Abstract Expressionism.